HOUSTON (KTRK) -- A homeless man has died after a fatal accident near Lake Houston. 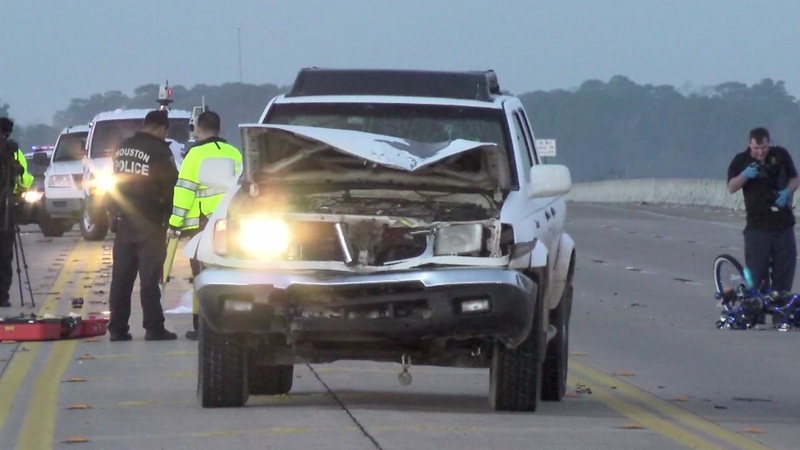 Police say the man was on his bike around 3am, heading eastbound on FM 1960 over the McKay Bridge, when he failed to give the right of way to a truck driver going in the same direction. The man was struck by the truck. He died at the scene. The driver who hit the man stopped to help the man, and police say he will not be charged in the accident.